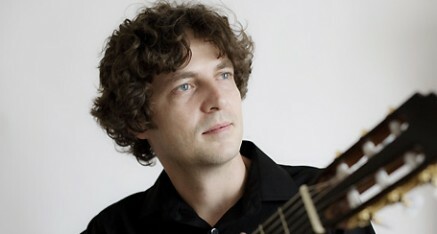 The Hungarian guitarist Gábor Podhorszky studied guitar and chamber music at the Liszt Academy of Music in Szeged, Hungary where he obtained a first diploma. Gábor was awarded a scholarship to study at the Royal Conservatory of The Hague, which he graduated from in 2007. In this institution he also studied baroque guitar and historical performance. Gábor has participated in a number of master classes and won prizes in music competitions. He has performed Joaquin Rodrigo’s Fantasia Para un Gentilhombre with Helmuth Oesterreich’s World Guitar Ensemble and worked together with conductor Taco Kooistra from the Amsterdam Radio Orchestra. Gábor has given solo recitals in Hungary and around Europe, and has also premiered new works for the instrument. In 2007 Gábor received the 1st prize at the 5th International Transilvania Guitar Competition in Cluj Napoca/Kolozsvár (Romania). As well as giving concerts and master classes in international music festivals Gábor also has served as a jury member for guitar competitions. He lives in England where he teaches and performs as a soloist and is a lead guitarist and songwriter in the different world of rock music!